Entries are now open for the 'Worn Out Worn Art' 2018 showcase. In 2018 we welcome both school students and adults to participate in this celebration of wearable art for the body. Enter your wearable art piece made from re-purposed and recycled materials to be involved in this exciting project. The creations will be presented at the showcase with a parade through the historic building. 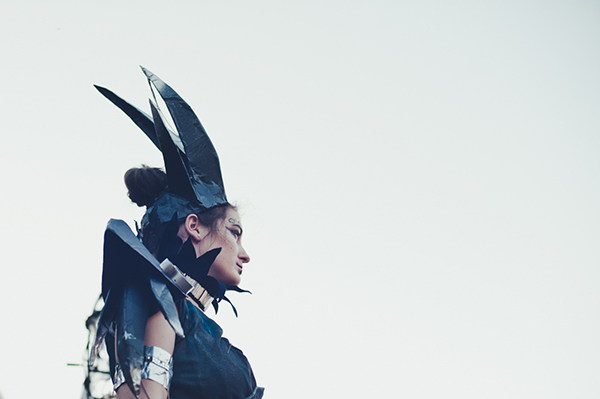 You can choose to wear your own creation or, if the stage isn’t your thing, nominate a friend. There is a full dress rehearsal prior to the performance. TWO PRIZE CATEGORIES | 15 and under, 16 and over. The showcase will be complemented by an exhibition of wearable artworks from professional Western Australian artists in the West Gallery at MJAC. Presented by Mundaring Arts Centre at Midland Junction Arts Centre.